These are the two words that describe the quilting that I want to do right now. Complex and organic. So when Hillary of Entropy Always Wins blog asked me about quilting her quilt "Batten Down the Hatches" I looked at all that negative space and thought, YES! You can see fold lines in the quilt above, because I had it all ready to ship back to California and then realized I hadn't even photographed the finished quilting! You can see the full, finished quilt, and read the story about Hillary's quilt in this post on her blog. The round "window" and the quilt's name reminded me of a submarine and I played that up with the quilting around the circle, and tried to integrate some of the feeling of danger and unpredictability into my quilting. 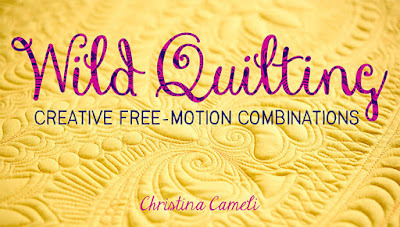 Later this week registration will open for Quilt Con, happening in Pasadena in February. I have three different classes to teach there. There are some easygoing all-day classes for beginners. And if you already have the basics down, there are classes for you too. 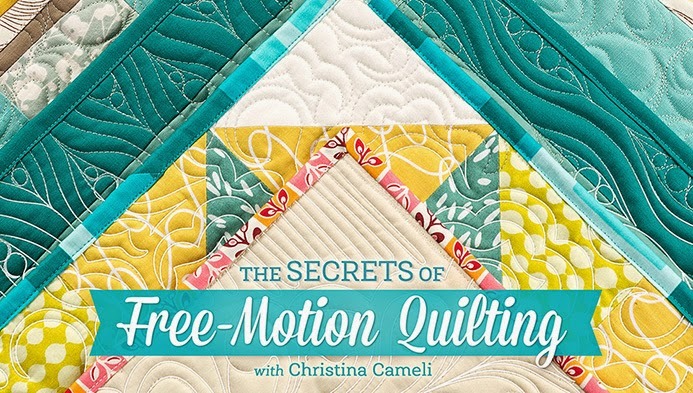 Free-Motion Impact covers strategies for getting your quilting to pop and have that "wow" effect, even from far back. 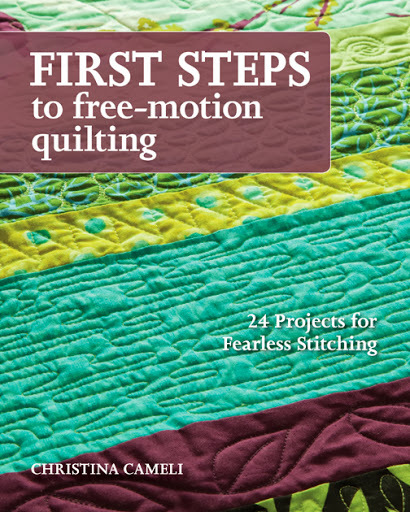 Wild Quilting will get you combining your free motion designs into complex arrangements full of interest. It's going to be so much fun! I've arranged with Hillary to bring this quilt with me, so if you join me for those classes you can see it close up! Hope you all are having a great start to summer. This is drop-dead delicious, Christina! I love the portholes around the 'window' -- what an ingenious touch to do! So much to look at for the hungry eye... It looks like, when I enlarge the photos that you used yellow thread on the red/orange? What did you use for batting? What an inspiration! 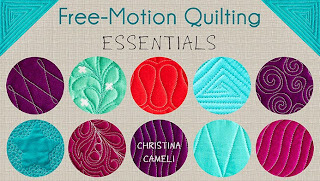 I love this so much more than highly structured "perfect" freemotion quilting. But then again, this is perfect! Not surprising since I loved all your designs in your Craftsy class. I have the same question as Christina about how you planned it. Plus I was wondering about the weight of the orange thread you used. It looks thicker than what I typically use. You rock, Christina! Your amazing quilting truly enhances this beautiful quilt. Great teamwork! Wow! That is just awesome! I would love to take one of your classes, but won't be there. 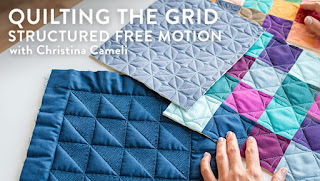 Stunning quilting, Christina! What a feast for the eyes. 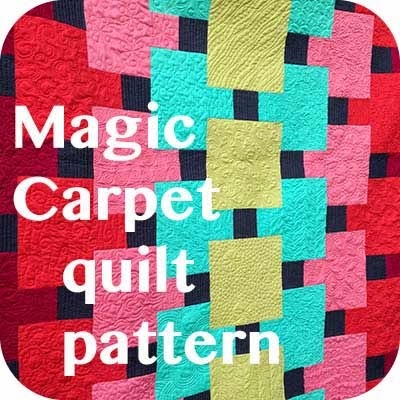 I'm enjoying your Craftsy class and book. Christina, your work on this quilt is superlative! 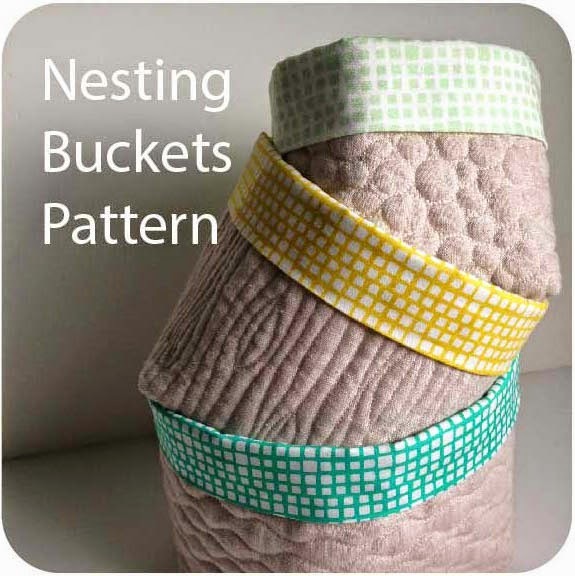 Hillary's design is so eye catching and has great impact and your quilting gave it such life! I can easily imagine she must be over the moon! PS... it is funny that you packed it up before remembering to take photos.